Firefly Catcher Collection, Firefly Grasses & Summer River House all available NOW @ Uber! 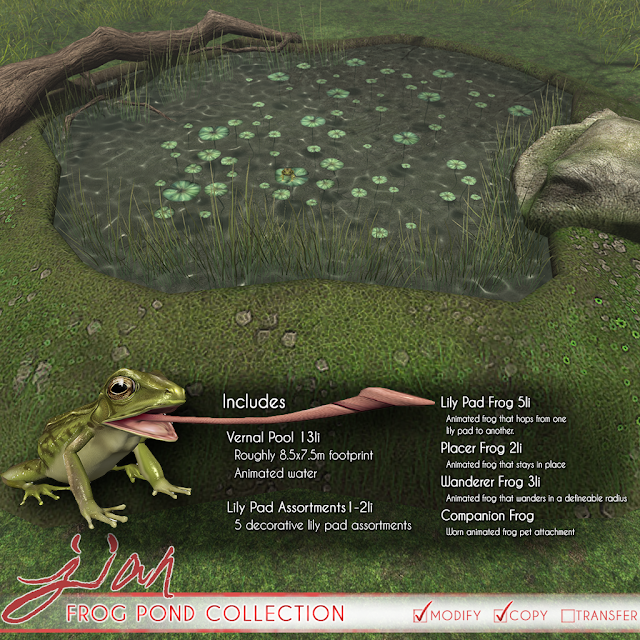 Frog Pond Collection available NOW @ the mainstore for FaMESHed GO! 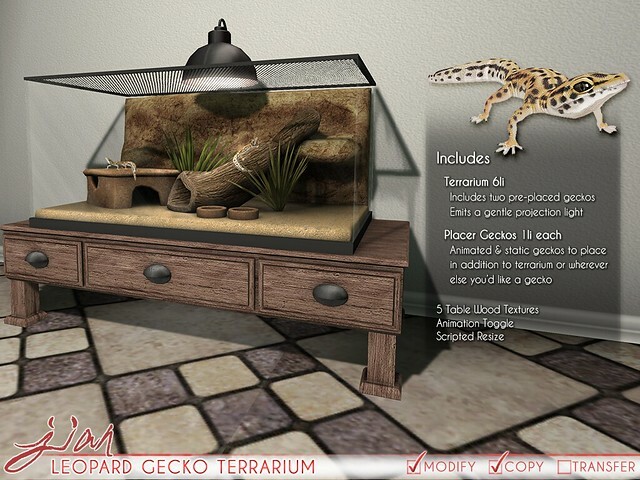 Leopard Gecko Terrarium @ FaMESHed! Available at the current round of FaMESHed! 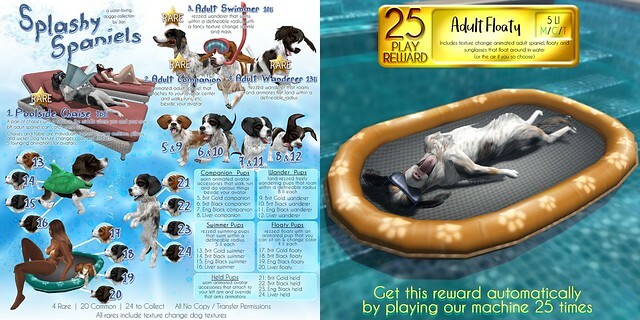 Splashy Spaniels & Flying Piggers @ The Arcade! Available NOW @ The Arcade!